I’d have thought that if Stirling did not agree with the IUCN assessment prepared by his colleagues, he would have said so last month when the report was released to international fanfare. 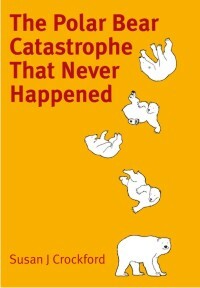 Instead, he seems to be deliberately ignoring the 2015 IUCN Red List assessment and pretending that the flawed predictions he had a hand in making are still plausible. 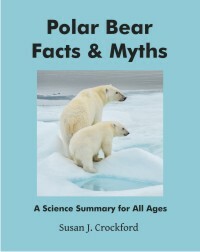 Not surprisingly, one of the “highlights” of Stirling’s career mentioned in the press release misrepresents his work on Southern Beaufort Sea bears and the devastating effects of thick spring ice because it leaves out the part about the thick spring ice. As I pointed out earlier this week, thick spring ice due to natural causes is currently the single biggest threat to polar bears (Crockford 2015). Not declining summer sea ice – thick spring ice. That could change in the future but in recent years, thick spring ice has taken the largest toll on polar bear populations. Not just in the Southern Beaufort but in Hudson Bay as well. Stirling has perpetuated the Arctic Fallacy that Arctic sea ice is a naturally stable habitat for the last half of his career – perhaps more vigorously than others – despite collecting and publishing strong evidence to the contrary. He knows the position he defends to this day [that the single biggest current threat to polar bears is declining summer sea ice] is not supported by the evidence because he collected that evidence. In my opinion, Stirling may deserve an award for his dedicated early work in the Arctic but for his recent contributions, not so much. 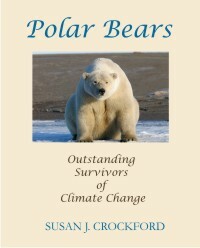 This entry was posted in Advocacy, Conservation Status, Population, Sea ice habitat and tagged Arctic Fallacy, award-winning science, climate warming, disappear, evidence, extinction, IUCN, lifetime achievement, polar bear, polar bear facts, population size, predictions, Red list, Southern Beaufort, Stirling, thick spring ice, threatened, Weston Family Prize. Bookmark the permalink.